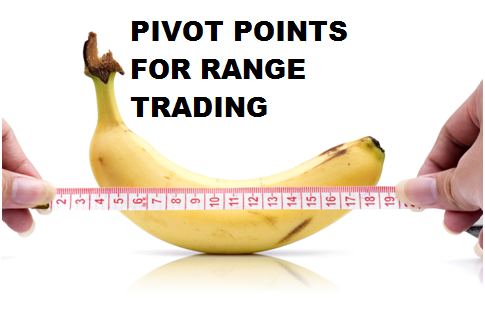 Pivot Point is simply an average price level in a given period of time e.g. the daily pivot point refers to the average price of the previous day. Similarly, pivot point can be weekly, monthly or yearly. The time frame of a pivot point analysis depends on the traders type and trading goals. We know in pivot point analysis we get a pivot point and some support and resistance levels. The lower support levels are stronger than the higher support levels, and the higher resistance levels are stronger than the lower resistance levels. And in pivot point analysis support and resistance levels are placed at different distance from pivot point. Generally, when the price touches a support level, we consider it as an opportunity to place a buy order, and when the price touches a resistance level, we consider it as an opportunity to place a sell order. This technique is applicable in case of range trading with pivot point analysis. On the above price chart, we found an opportunity to place a buy order because the price touches the first support level. For this order we can place our stop loss at second support level or at 50% of the channel created by the S1 and S2 support lines. 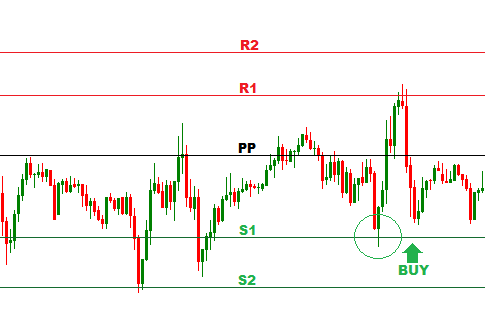 The profit target for the order can be placed at pivot point or resistance level just above the pivot point. On the above price chart, we found an opportunity to place a sell order because the price touches the first resistance level. For this order we can place our stop loss at second resistance level or at 50% of the channel created by the R1 and R2 support lines. The profit target for the order can be placed at pivot point or support level just below the pivot point. It is not that simple! These are the very basic of range trading with pivot point analysis. To ensure accuracy of range trading with pivot point analysis smart traders ask the following questions. Is there any candlesticks pattern formed when price is touching a support or resistance level? Are there any other support and resistance levels exist? Is there any chart pattern formed? Does market have enough strength to break the support or resistance levels? We know there are so many candlesticks pattern that signals market reversals. If at a support or resistance level of pivot point analysis a candle sticks pattern is found, an order can be placed more confidently. On a price chart support and resistance levels can be drawn in many different ways e.g. a trend line, a fibonacci retracement level, a moving average or a fibonacci fan line. 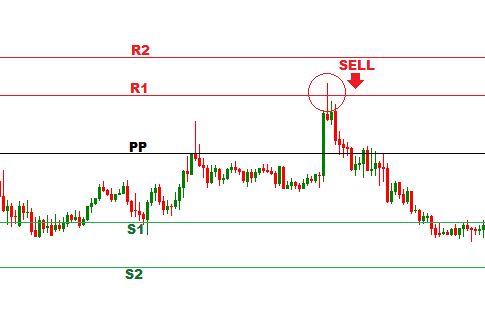 If the price touching a support or resistance level of pivot point analysis and a support or resistance levels drawn with any other tools, the order can be placed more profitably. On the price chart of financial instruments, the chart patterns are very often formed. If at a support or resistance level a chart pattern is formed, an accurate order can be placed when the chart pattern is broken out by the price. It is not always true that market will reach a support and resistance level and be reversed, but market can also break a support or resistance level to reach the next support or resistance level. If market breaks a support or resistance level, the orders placed at that level are completely losing. In bottom line, if a trader can find out the best answers of the above stated questions, he/she can be successful in range trading. We all know no trading tools and techniques are alone sufficient to hunt winning trades.